IT DOES NOT CONTAIN CARCINOGEN MATERIALS: Completely natural materials are used in brick products. There is no foreign chemical in its composition and it does not bear any risk of carcinogen material like some other wall materials. IT DOES NOT CAUSE CRACKS IN PLASTER: The fact that the expansion coefficients of the brick products and the plaster mix are close to each other prevents the formation of plaster cracks after laying. Good cohesion of the plaster and the brick means the beginning of trouble-free days in the future. Excessive plaster cracks which may occur due to the factors in the composition of some wall materials cause both penetration of humidity to the interior and exfoliation. IT HAS A HIGH VALUE OF COMFORT: Thanks to the property in the natural composition of clay, it leads to a healthy and comfortable life in the spaces created. Thanks to its composition compatible with the human body, it serves as a buffer against sudden cooling and heating impacts in the spaces created. IT DOES NOT ERODE YOUR BUDGET: It appears before you with costs up to four times lower than its competitors and its examples in Europe through plants and dealer networks scattered all around the country. IT IS A HEAT SAFE: It keeps the heat it has absorbed for a long while thanks to the composition of clay and releases it back to the environment when the heaters are switched off, creating an atmosphere of comfort. This heat retaining property is the most important factor in its being a heat safe. IT DOES NOT KEEP HUMIDITY: It does not keep humidity but releases back in a short while thanks to the lack of a porous texture in its micro composition and to its capillary composition. The maximum humidity it takes in is 13 percent. This composition causes the brick to be an extremely healthy product. IT IS A LONG-LASTING MATERIAL: The fact that it has been in use in the world for 6000 years is the best evidence of its soundness and long life. IT IS 100% RECYCLABLE: The waste of brick products generated during the production and use do not cause any side effects because it is a natural and transformed material. Wastes from the production are included into the production through micronization. Ger. Ziegel (stein) (m), Fre. Brique (f), Eng. Brick. A building material made by molding and firing a kind of clayey earth in the form of a rectangular prism. It is an inexpensive and practical building material. Use of brick goes back some six thousand years. The initial bricks were dried in the sun; they are called adobe bricks. The very first brick kilns started to be erected some three thousand years before Christ. In the present day, the term “brick” is usually used for those blocks approximately 20-22cm long, 9-11cm wide and 5-7,5 cm high. As the solid bricks of this kind are produced in large brick kilns called “blend”, they are called blend bricks. These bricks are produced by firing at 400-600°C in our country. Those larger bricks fired with a perforated or hollowed core which were developed in the middle of the nineteenth century and commonly used in the West are called perforated or hollowed bricks. Perforated brick further provides sound and heat proofing. 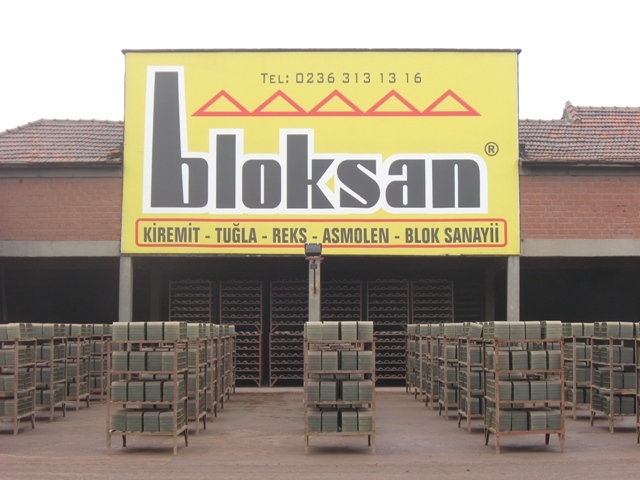 Perforated bricks are usually made by firing at a temperature of 1100-1200°C at the plants. Their dimensions are specified in the standards of various countries. In our country, perforated bricks are produced in such dimensions as 23,5 x 13,5 x 13,5 cm, 23,5 x 23,5 x 13,5 cm or 23,5 x 13,5 x 9,5 cm. Colors varying from dark red to white are obtained by adding coloring oxides into or changing the quantities of the components of those bricks which are to be used as facing bricks. In places where clay is scarce, lime brick is made from calcium silicate or silicon carbide. Other than those used in construction works, there are alumina- or silica-based fire bricks resistant to high temperatures. Such bricks are produced by firing at an approximate temperature of 1800°C. Another kind of brick which does not contain clay and is resistant to high temperatures is magnesite and chrome bricks. These bricks are used in steel furnaces, glass furnaces and other industrial furnaces. Other than these, the silica, bauxite, alumina, zircon, silicon, carbide and dolomite bricks are also resistant to fire. In the present day, brick production starts with the extraction of clay. Clay which is crushed and ground in mills until it has fine particles is mixed with water to obtain a thick pug. Then this pug is pressed in moulds or made into an uninterrupted rectangular prism and sliced into any desired size and thus bricks are produced. The bricks first dried in air are fired at a proper temperature in the kiln for approximately 12 hours. The use of bricks and roof tiles goes as far back as the birth of human beings. We may say that the very first brick or roof tile production plant is perhaps the very first house ever built by the human beings. Such houses were especially built with dried clay tablets and a simple production system set up next to the houses to be built in the settlements situated on river banks and in deltas. It is not unfortunately possible to give a starting date in the matter. Unfired clay tablets found in the course of the excavations carried out between the rivers Euphrates and Tigris in the Mesopotamia region points out the 13th century BC, i.e. precisely fifteen thousand years ago. The initial industrial production of fired brick coincides with the construction of the Tower of Babylon in the 4th century BC. Historians have calculated that 85 million bricks were used in the tower. Considering that this quantity of bricks may only be produced in a period of one year by 5-6 plants with developed technology, one must agree that the production achieved there really carry some value in technological terms. And for this reason, the Tower of Babylon is an important symbol in terms of brick production and industry. It is agreed that the initial people who produced and used roof tiles are Corinthians. The Corinthians produced the concave roof tiles by beating with a knocker and spreading the prepared brick pug in a size thicker and larger than in the present day in the 4th century BC. The forms of production which progressed in line with this historical progress in Anatolia and Europe gained a different aspect once the Romans imposed the initial standards and started to trade in this business. Bricks and roof tiles which became an indispensable part of the Seljuk and Ottoman architecture in Anatolia in the forthcoming periods created a style specific to Anatolia with the standards of the Ottomans. In the Ottoman period when roof tiles were smaller and brick sizes larger, the initial standards started to be applied. Non-standard production and the use of such products in buildings were prohibited and significant punishments were stipulated in the matter in that period. Standard practices were also stipulated for stories and models in buildings in that period. Considering the sectoral development in Anatolia, plants carrying out industrial production had not unfortunately developed by the last period of the Ottomans other than workshops and open kilns. Plants producing bricks and roof tiles started to be erected in the Marmara and Aegean regions thanks to foreign entrepreneurs after the declaration of the Republic; a development period was achieved in the sector thanks to Turkish entrepreneurs in the forthcoming period and imported machinery initially used in the plants were later replaced by domestic machinery. However, this occurred very late and is a reason why the sector is less modernized in comparison with the conditions in Europe. Unfortunately, sectoral development progressed much more rapidly in Europe, and especially after the invention of steam engines, the animal power employed in the raw material preparation machinery was replaced by steam engines. After this mechanization which is considered the first revolution in the sector in the 1700s, production of perforated and lighter bricks come to the fore upon the development of the spiral forming presses in the 1800s, and this ensured more production with less raw material and less energy. Later, when the Hoffman and tunnel-type kilns stepped in, a great leap was achieved, production increased and bricks and roof tiles became a building material which could be produced more easily and more inexpensively and their use increasingly spread. 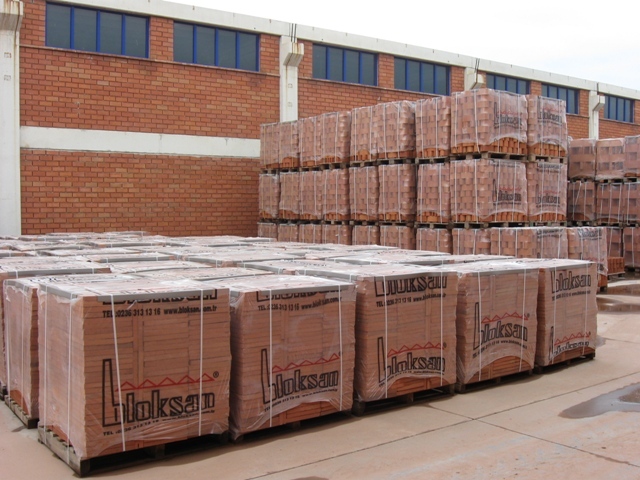 Clays used in the production of bricks and roof tiles are usually found in the nature and extracted in a damp and plastic consistency, sometimes in a dry and triturable form and sometimes in a rock form. Therefore, the clay obtained in the nature and brought in the production plants must go under a series of preliminary preparation so that it may have suitable properties in terms of both size and composition. First, grinding process is carried out so that the raw material may have a processable property. The raw material must be well crushed and made into fine particles so that it may be a homogenous material, and has plasticity and cohesion properties. For this purpose, large stones and wastes it contains are separated by means of various machines (stone separator, roller, edge mill, etc.) and ground to the desired particle size. Further, in order to obtain a homogenous clay pug, the clay must be crushed and mixed with a sufficient amount of water. When water is added into the clay in small amounts, its plasticity increases to some extent. Water addition may not only be made prior to grinding but after grinding as well. Settling is the most important one of the raw material preparation stages. It is so important a factor which affects the quality of the produced material. Due to the thixotropic properties of clays, the kneaded pug gains strength during the settling. The settling process is performed prior to or after the grinding process.. The pug which gains a property suitable for forming at the end of the raw material preparation process is formed by the use of different methods and semi-finished bricks/roof tiles of different forms and sizes are obtained. Molding, pressing and extruding methods are usually employed in forming. Molding is a method usually employed in the production of blend bricks. Pressing is usually employed in the production of roof tiles. The raw materials prepared in the form of hard biscuit in the extruder are given the form of roof tiles by means of presses of various types and sizes. In the extruding (vacuuming) method, the prepared clay is extruded from the mold by means of a worm screw and at a certain pressure. In this method, the prepared raw material conveyed to the extruder (vacuum press) is deaerated at 740 mmHg by the vacuuming method and plasticized. The raw material pushed by means of spirals takes the form of its two dimensions by means of the mouthpiece at the mouth of the vacuum press and leaves the press in the form of an infinite belt. Then, the material cut by fine wires take its third dimension and is allowed to dry. Drying is the process of removing the water which exists in the clay or which has been added in order to make into a consistency suitable for forming it. Two methods, namely natural drying and artificial drying, are used in the drying process. Natural drying is a system which is in intensive use in our country and which is based on the principle of utilizing the heat energy in the atmosphere. Those products leaving the extruder in a wet condition are usually aligned in a certain order in the drying stands and such stands are placed in large indoor or outdoor areas and allowed to dry. This drying method seems to be economical as it does not require an additional energy in the drying process. However, need for large areas for the drying process, very slow and long drying process, insufficient control over it, dependence of the drying upon weather conditions (temperature, humidity, wind, etc. ), too much labor constitute the disadvantages of the method. Artificial drying is to carry out the drying by increasing the temperature and the air movement by the provision of an additional energy without leaving it to the natural conditions. It is based on the principle of removing the free water in the clayed material first with high steam pressure and low temperature and with low steam pressure and high temperature towards the end of the drying. This is carried out utilizing drying chambers or tunnel drying kilns. The type of kiln which is most intensively used in Turkey is the Hoffman kilns. Tunnel kilns make up the next intensive use. There are also some 20 arched tunnel kilns which are the mixture of the Hoffman and tunnel kilns. Hoffman kiln: The cross-section of the kiln is in the form of a circular vault. The fire moves but the products stand still. This kiln is one which uses the heat obtained from the fuel at so high an efficiency and which has a high production capacity and speed. Combustion occurring over the material in a state of complete firing, the air moving in the kiln being heated in contact with the fired material on one side and the heated air being used in order to heat up the unfired material are the most important advantages of this kiln. Fuel is injected from the jets above the kiln and the injecting process progresses along the jets as the firing stage advances. Such solid fuels as coal, etc. are usually used as fuel, but liquid fuels are rarely used. In the Hoffman kilns, the use of energy is higher compared to the tunnel kilns. As it requires a labor-intensive structuring, costs are higher. Tunnel kiln: As the main principle, the products move and the fire stands still. There is a long tunnel and moving kiln cars in it. Semi-finished products are stowed in the kiln cars out of the kiln, and the cars move one after the other at a certain speed in the kiln. The products moving in the kiln encounters an atmosphere with a gradually increasing temperature and decreasing humidity. This zone is the heating zone. The firing zone (firebox) is located in the mid section. The product fired here keeps moving forward and starts to cool down as it contacts with the air which has cooled down the material fired earlier and but which has been warmed up by passing over it. The products which move out of the kiln are then picked from the kiln cars. Liquid fuel is usually used in the firing zone, but systems using solid fuels are sometimes made as well. Tunnel kilns are such systems with a high product quality, high fuel and labor economy and short fabrication time. However, the initial investment and maintenance costs thereof are very high. The flow rate of the kiln cannot be frequently changed. The products moving out of the kiln are transported any designated places. Trucks and lorries are usually used for transport. The products which our company produces may be transported on pallets and packages as well. Thus, the products are protected against any and all adverse external impacts which may occur during the transport. 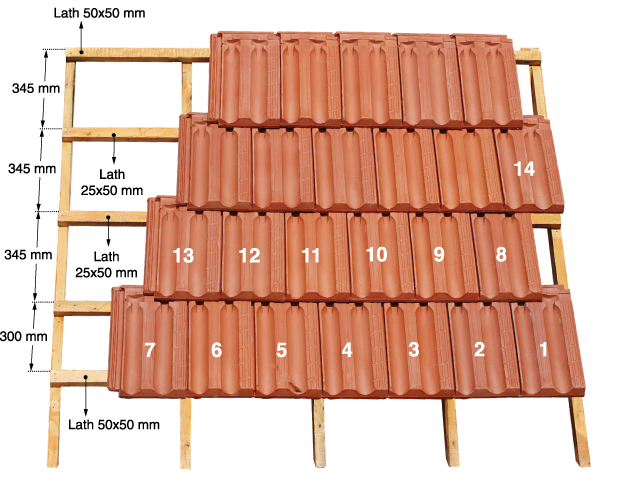 - TS EN 1304 Roof Tiles. Use bricks and roof tiles made from baked clay which is an entirely natural material in your constructions. 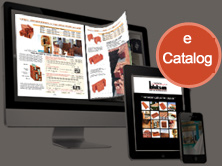 Our company is at your disposal with a large variety of products. 1. Before starting to build the brick walls, the brickwork, especially such places as corners, doors, windows, angled corner chimneys, etc. must be arranged by drawing in the office in such a way that any vertical inner and outer joints shall not be on the same line. Then the characteristics of such brickwork must be shown to the workers in practice. 3. The bricks rows must be horizontal and this must be checked at each one meter elevation. Special attention must be paid on the lower surfaces of beams and care must be taken in working bricks cut in standard or equal heights along the wall and in squeezing such last pieces by filling well with mortar under the beams. 5. It shall be better if half-brick walls are not worked to the top but up to a maximum height of 1,5 meters at a time and the rest of the wall worked some six hours later so that they shall not fall down and so that the mortars shall attain the hardness to bear the load of the full height. 7. The side of the half- and one-brick walls where an alignment line is drawn (outer façade) and both sides of the thicker walls are worked as main surfaces. 10. If there is no other description in the specifications, a mortar added with little lime and 250-300 kg cement and 200-250 kg cement must be used in half-brick walls and in thicker walls respectively. 12. One must not start plastering both surfaces at the same time before the wall completely dries up. It is a type of tile reliably used on the roofs with a slope of 40% and more. It is laid in a plain and checkered manner. It may be used on high-pitched roofs by fastening with nails or wires thanks to special nail holes. Sixteen tiles cover one square meter. It is laid in accordance with the alignment system as shown in the figure above. Hukuksal bilgiler verme ve hukuki kaynaklara ulaştırma amaçlı BLOKSAN web sitesinin danışma hizmeti vermek gibi bir işlevi bulunmamaktadır.